Style different types of earrings : How to wear earrings like a pro! Many types of earrings are available today. From delicate stud earrings to large hoops, there is a whole world of beautiful jewelry out there. To find more about earrings for women, read this article. However, there are still rules that need to be followed and common mistakes to be avoided. And speaking about mistakes, one that we encountered the most in our experience is when women do not match their earrings to their hairstyle, face shape and clothes. We are not talking about the simple rules of dangle earrings and a nice updo. You may not know it, but when choosing earrings you also have to consider your hair color and texture, along with the shape of your face. Before talking about matching them, let’s see which the main types of earrings are. Of course, you can find many combinations on the market and many creative designs, but, depending on their shape, there are six types of earrings. Drop earrings are elegant and usually, fall below the year. Dangle earrings are a special type of drop earrings but they are approximately half an inch longer. You can recognize chandelier earrings by their special shape and multiple lines of gemstones. Stud earrings are tiny and versatile, appropriate for any occasion, while hoops are simple circular earrings that come in different sizes. Find out how to wear gold hoop earrings by reading this article. As the name suggests it, cluster earrings feature a cluster of gemstones and huggie hoop earrings or simply huggies are hoops with a band of gemstones. The shape of different types of earrings can influence the way your face looks. In fact, earrings can make it seem as your face is wider, thinner, longer, or larger. That is why it is crucial to know what earrings to buy depending on the shape of your face. There are six types of faces depending on their shape. This type of face shape is characterized through a wider forehead that narrows down toward a pointy chin. 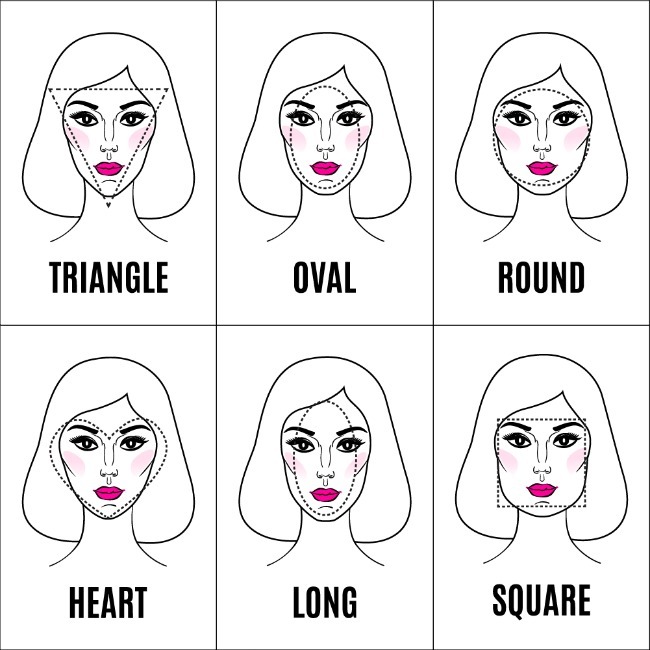 Very often confused with the heart-shaped face, the inverted triangle shape face can be balanced to make it seem as your jawline is wider. Chandelier and teardrop earrings are the styles that can create this illusion and accentuate your beauty. This type of face can allow you to wear almost any type of earrings. Simple studs and geometric drop earrings accentuate your lovey cheekbones and other facial features. For this type of face, all styles of drop earrings will help elongate your face and also make it look slimmer. It is very important to avoid hoops, button studs, and large circular earrings which will only emphasize the shape of your face. You can counterbalance the sharp shape of your chin with teardrop or chandelier earrings. Because the earrings are wider at the bottom, they will fill in the lower part of your face, making it more balanced. Statement earrings also look great with a heart-shaped face. To learn how to style statement earrings, read this article. To soften the hard edges of your face, you can go for round-edged earrings. Stay away from square studs and other types of earrings that have sharp corners and reinforce squareness. Take a look at the infographic below to discover your face type. When it comes to your hairstyle, there are three things you need to consider: your hair length, how you wear your hair and your hair color. 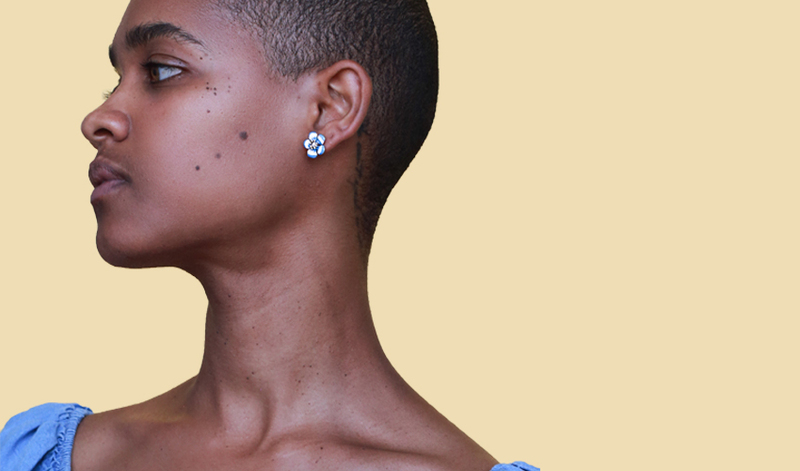 You may love your long wavy hair, but, when it comes to earrings, short hair means more freedom. With short hair, you can practically wear any type of earrings and you will look fabulous. For a contrasting sophisticated look, we recommend wearing chandelier earrings with your short hair. When it comes to longer hairstyles, you should avoid studs or tiny hoops because the hair will conceal them. The best types of earrings for long hair are the linear drop earrings and large gold hoops. Regardless of your hair color, gold, gold plated or platinum earrings will look great. They can be all-metal or feature beautiful diamonds. Read about the top five gold plated earrings you need to own and how to style them. However, when it comes to other colors you should pay attention. If you have a blonde hair color, avoid white earrings. You need a contrasting color, so a pair of sapphire or ruby earrings will look gorgeous on you. As a brunette, you should avoid dark brown earrings. You can go for a tan color, for example, but the best colors are pastels. Cream, baby blue, and delicate pink are some of the colors that will look great dangling from your ears. Last, but not least, redheads should try to avoid very warm colors like orange, red or hot pink. Turquoise, blue and green, however, will look dazzling and will perfectly complement your hair color. An elegant or relaxed updo asks for dangle earrings, especially chandelier style. You can also try teardrops if you want to go for a more subtle look. If you like to wear braids or a simple ponytail, try clusters or huggies. Since most of your hair is up, they will look nice hanging from your ears and provide balance to your face. As opposed to dangle earrings, clusters won’t get caught up in your braids and they will offer you great freedom of movement. A side braid, however, looks amazing with hoops or, if you want to go for a bolder look, with mismatched earrings. Just wear a simple linear drop earring on the side opposite to your braid and a tiny stud on the other side. If you are wearing your hair half up, half down, you can balance your features with a delicate pair of stud earrings. For a cool 90s look, choose a pair of medium-sized gold hoops. If you are wearing jeans and cotton, for example, chandelier diamond earrings may not work. A silk dress. on the other hand, will never look great with wood earrings. The general rule is that the earrings need to reflect the fabric type. Precious fabric, precious and elegant earrings and viceversa. The neckline is important not only for necklaces but also for many types of earrings. Tassel earrings, for example, will not look great with turtlenecks, while hoops will clash with a sweetheart neckline. When it comes to the color, the rule is simple – make sure you don’t have too many colors on you and choose earrings that complement your outfit’s colors. It is needless to say that you shouldn’t wear diamond drop earrings with short jeans and a tank top. It is very important that your earrings’ elegance match the elegance of your outfit. Last, but not least, styling your earrings with other jewelry is crucial. Because your earrings are the jewelry pieces that hang the highest on your body, you have a lot of freedom when it comes to bracelets. But we cannot say the same about necklaces. If you are wearing statement earrings, don’t wear statement necklaces. Pay attention to the metals of your other jewelry and how they match your types of earrings. And try to avoid sets, such as earrings, rings, and necklaces or bracelet from the same set. If you match everything, your outfit will not be very creative anymore. 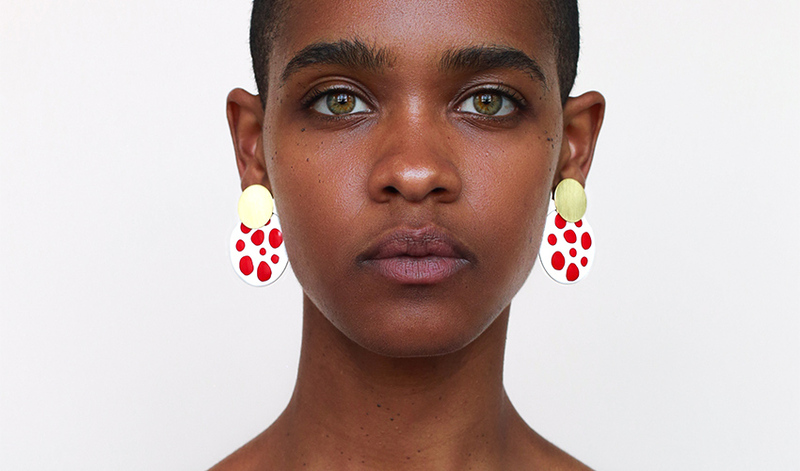 To discover how to style mismatched earrings, read this article. At Ana Luisa, you will always find stunning designer earrings at a fair price. Get your high-quality solid gold hoops, delicate crystal clusters or gold plated textured dangle earrings. Click here to view our unique earrings collections and choose your next pair of fine earrings. For more jewelry information, read our other articles as well and contact us if you have any questions. Alternatively, you can leave a comment below and we’ll get back to you as soon as possible.